Liz Truss has been sacked as Lord Chancellor and demoted to Chief Secretary of the Treasury following a tenure dogged by controversy. She has been replaced in her role by David Lidington. The MP for Ayelsbury, Mr Lidington served as Europe minister for two years under David Cameron and as leader of the House of Commons before the last general election was called. 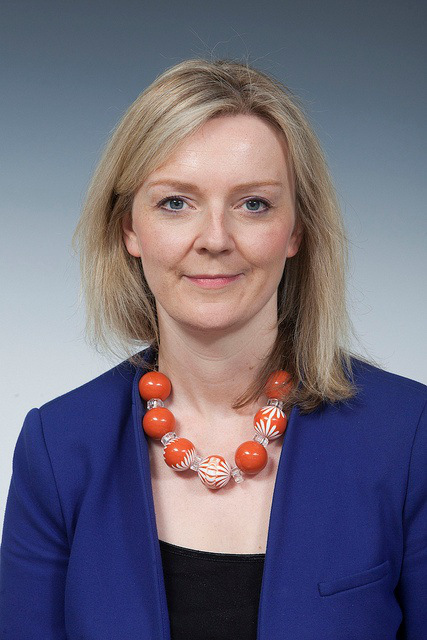 Ms Truss, the first woman to hold the 800-year-old office, has been demoted to Chief Secretary of the Treasury. Lawyers had been calling for Ms Truss to be replaced for some time. In November last year, Lord Falconer, himself a former Lord Chancellor, called for her replacement given her “lukewarm” response to public criticism of the judiciary in the wake of the Brexit case at the High Court. Lord Judge and Sir Geoffrey Bindman QC also voiced their disapproval with Ms Truss’ handling of the situation. Sir Geoffrey attributed what he regarded as her poor performance to a “fault” in the system which has “paved the way for a succession of inadequately qualified appointees”. She was also castigated by the Lord Chief Justice, Lord Thomas of Cwmgiedd. In March this year, he described her failure to defend the judiciary as “completely and absolutely wrong”. “It really is absolutely essential we have a Lord Chancellor who understands her constitutional duty. Photo credit: UK government (OGL 2.0).